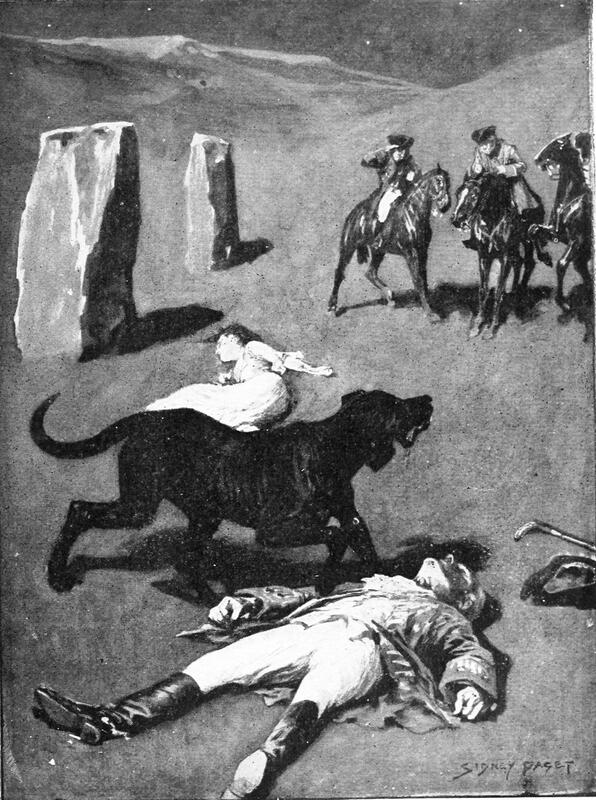 JUST AS IRENE ADLER would always be “the woman” to Holmes, the Baskerville Hound was “the canine.” Dr. John H. Watson introduced this giant dog in The Hound of the Baskervilles, 1902. And it didn’t take long for the hound to become a movie star. 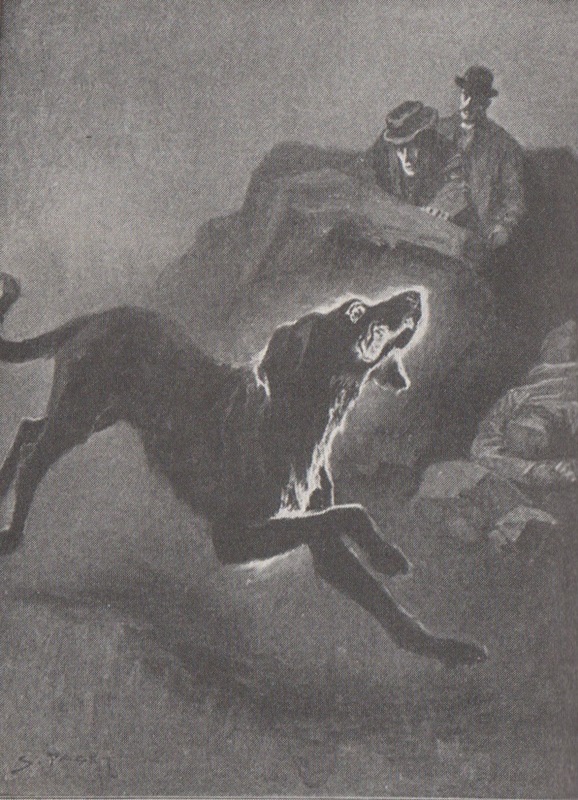 The Hound of the Baskervilles, 1902. Cover of the first edition; how odd to list Watson’s literary agent Conan Doyle as the author. Image by Sidney Paget, The Strand Magazine, August 1901. Needless to say, the maid was unhappy because of Hugo’s “most wild, profane, and godless” attentions, not the hound’s. Image by Sidney Paget, The Strand Magazine, 1902. However, as noted in The New Annotated Sherlock Holmes: The Novels (Slipcased Edition) (Vol. 3), 2006, edited with notes by Leslie S. Klinger, there has been considerable Sherlockian scholarship dedicated to this hound’s mixed breed. The Hound is Ready for Its Closeups. It didn’t take long for film renderings of the tale, albeit initially without the hound’s howl. As described in Sherlock Holmes on the Screen, 1977, by Robert W. Pohle, Jr., and Douglas C. Hart, Der Hund von Baskerville, 1914–1920, appeared in seven parts, totaling around seven hours. The first English film, another silent one, was in 1921. The Hound Gets Its Howl. 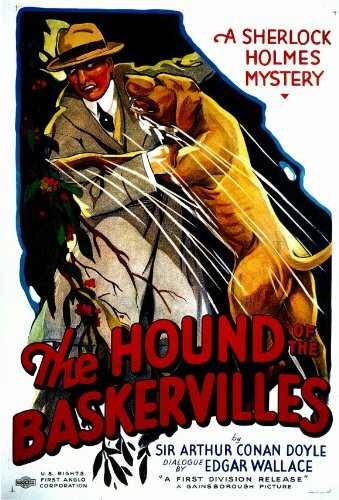 The hound’s howl was first heard in The Hound of the Baskervilles, 1931, another English production. The Hound of the Baskervilles, 1931, a Gainsborough Production. 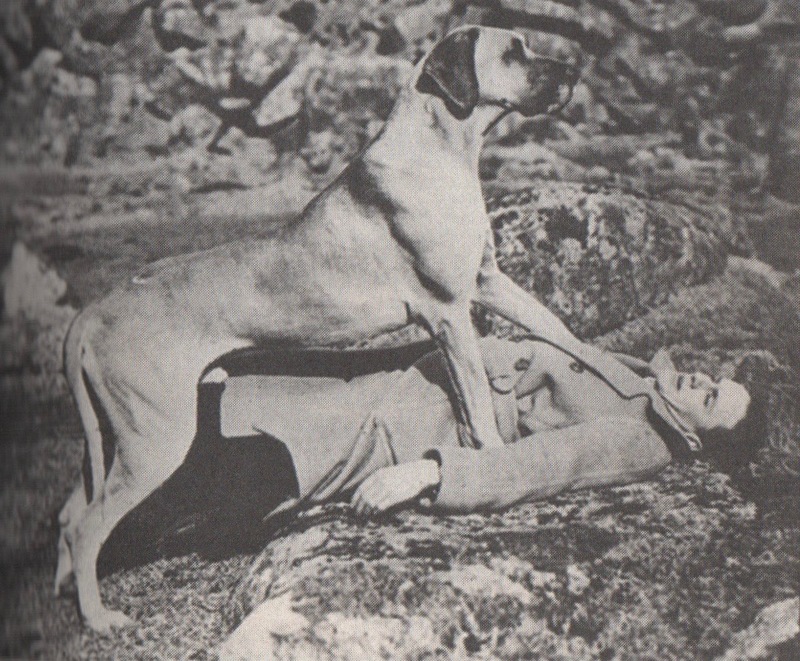 Scene from The Hound of the Baskervilles, 1931. 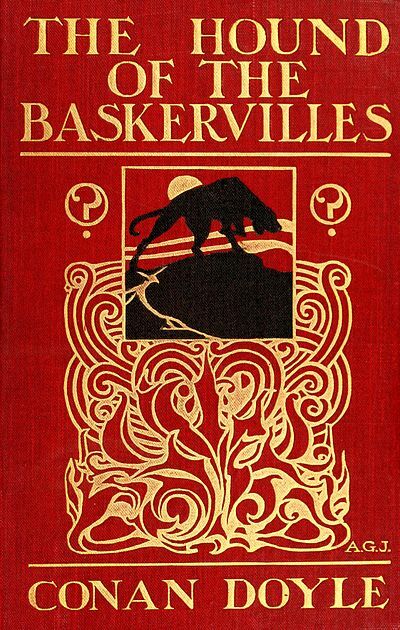 This entry was posted on February 27, 2019 by simanaitissays in The Game is Afoot and tagged "Barking Up the Wrong Yew Tree" Sherlockian Philip Weller, "Hound of the Baskervilles" movies, "The New Annotated Sherlock Holmes" Leslie S. Klinger, Bengali "Jighansa" sort of "Hound of the Baskervilles", breed mix choices for Holmes' Baskerville Hound.